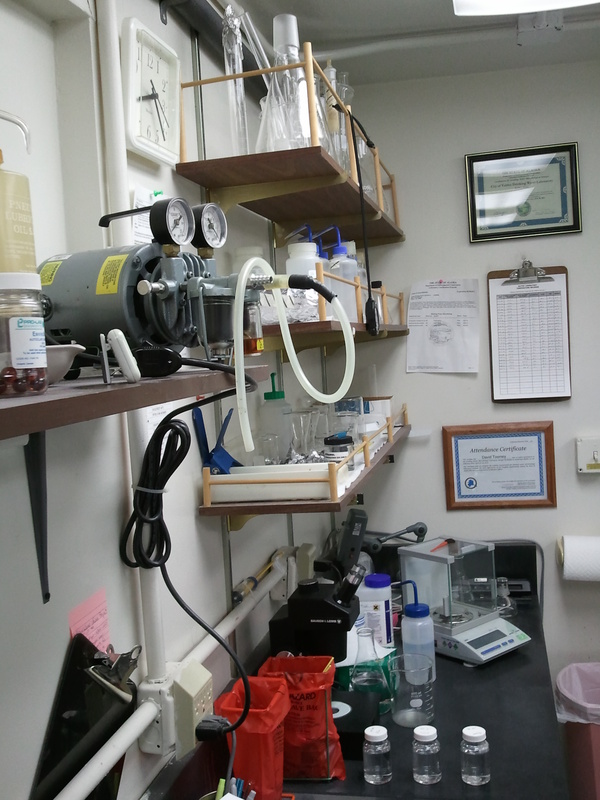 The laboratory is certified to perform microbiological analysis on drinking water using the membrane filter method. The laboratory tests only for coliform bacteria, which are considered indicators of the possible presence of enteric pathogenic bacteria or viruses. Sample collection bottles, sampling procedures, and an analysis report form may be obtained from and returned to the Community and Economic Development office at City Hall at (907) 834-3401. Samples must be received during regular office hours, Monday through Wednesday from 8:30 am to 5:00 pm, excluding city holidays. There is a service fee for each sample analyzed: samples collected within the city limits will be charged $15 and those outside the city limits will be charged $35. Questions may be directed to the laboratory at (907) 835-4888. If you need to find your curbstop, the City Maintenance Department handles locates. If this service is needed, please contact the City Shop at (907) 835-4473. If you are planning on digging, please call the Alaska Digline at (800) 478- 3121. If you need to have your water shut off call the Valdez City Hall front desk at (907) 835-4313.